Just in case anyone was left doubting the Abbott government’s disdain for environmental protection, our Environment Minister Greg Hunt has laid that to rest, approving the development of one of the largest coal mines in the world. 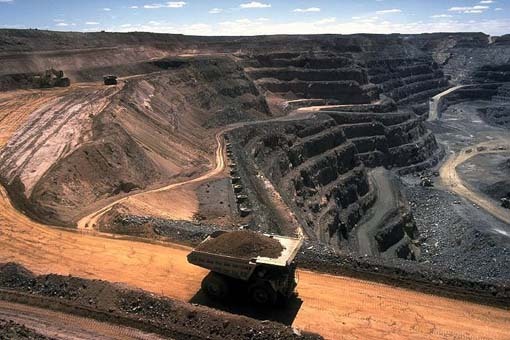 The Carmichael mine will be developed by Indian power company Adani. Owned by an Indian billionaire, Adani are sourcing Australian coal to fuel the surging demand for electricity in India. They hope to begin exporting coal from the mega-mine in 2017. The coal mine is simply gigantic – the largest Australia has ever seen, and one of the biggest in the world. Consisting of six open cut pits and five underground mines, it will cover an area seven times the size of Sydney Harbour. The initial stages require the clearing of 20,000 hectares of bushland, home to 60 threatened species of flora and fauna. Around 60 million tonnes of coal will be sent to the Queensland coast every year by an accompanying $2.1 billion rail corridor, where it will be exported to India from Abbot Point via the Great Barrier Reef. CO2 emissions from the combusted Carmichael mine coal are estimated at a whopping 128 million tonnes per annum, cancelling out any of the gains made under the government’s pathetic Direct Action policy. To put that figure in perspective, that’s equal to four times the amount that New Zealand emits in a year. There were so many reasons not to approve this unprecedented development, both economic and environmental. Greg Hunt, however, was unmoved. Of foremost concern – Adani’s alarming environmental track record. In India, they have been fined for illegally building on villagers’ land and destroying protected mangrove areas. They have been involved in the large-scale illegal export of iron ore, bribing officials, building an aerodrome without environmental approval, manipulating the approval process, ignoring environmental conditions and non-compliance with environmental monitoring. Remember the Abbot Point controversy? Well, Adani were one of the companies behind that too. Adani owns the coal export terminal at Abbot Point. For the massive volumes of coal to be shipped overseas from their Carmichael mine, they need to expand the terminal to meet the surge in exports, which will see upwards of 450 extra coal ships travelling through the Great Barrier Reef every year. Safe to say, this is bad news for the reef environment. The proposed expansion of the coal export terminal requires three million cubic tonnes of seabed to be dredged, and dumped in adjacent waters within the Great Barrier Reef Marine Park. Despite concerns within the GBR Marine Park Authority itself and UNESCO, as well as public outcry over the threat to the reef, Greg Hunt approved the dredging. So toxic and unpopular is the Abbot Point dredging project, even international banks don’t want to be associated with it, with HSBC, Deutsche Bank and The Royal Bank of Scotland withdrawing funding. But despite this, the Australian government thinks it fine to go ahead. Despite Adani’s woeful record, Greg Hunt is comfortable allowing them to operate in one of the most environmentally sensitive areas in the world. I am not. In what we’ve learned to be the usual Greg Hunt response, he has slapped on a bunch of ‘Conditions’ and ‘Offsets’ to mitigate any environmental damage, 36 in this case, although a Senate enquiry has shown what rubbish these are. So what are the net benefits for Australians? Economic reports continue to show us that coal is just not profitable anymore. There are real questions surrounding the viability of Galilee Basin coal projects in the face of a long term, downward trend in global coal prices. A huge investment in infrastructure by Adani is needed to service the Carmichael mine, which has driven down their potential for profit substantially. Any profits made will be channelled overseas to India first, then to other Asian nations who will take on development contracts like Korea, whose company POSCO who will build the rail link. In the absence of a Carbon or Mining Tax, benefits to Australians are small – apart from the promise of employment and regional development. But at what cost? A country is more than just an economy. All Australians will be left with is a massive hole in the ground, linked to a dying reef by a ghost train. In the mean time, Greg Hunt will twiddle his thumbs, waiting for the years-away clean coal technology to be rolled out. But there’s still a glimmer of hope. While the coal mine has been approved, Adani still need to secure billions of dollars of funding before they can begin construction (or destruction in this case). Greenpeace, together with GetUp, AYCC and Market Forces are campaigning to stop the Big Four Banks from funding Adani. If Australians continue to show their collective power through grassroots campaigning and action, hopefully our banks will have the sense to ditch this sinking ship.